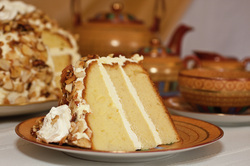 A customer favorite consisting of a golden buttery sponge cake layered and then filled with rich butter cream icing, and finally encrusted with a roasted butter almonds. 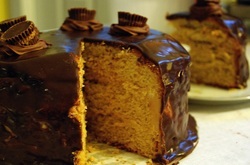 This vanilla peanut butter sponge cake is filled with silky peanut butter whip cream and enrobed with milk chocolate Ganache. This is a tribute to a very special man who passed down this recipe to me. 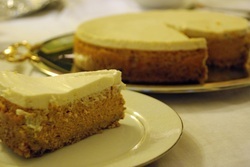 A rich and creamy cheesecake with a hint of almond and finished with a sweetened sour cream topping. A seasonal favorite that begins with a rich and creamy cheesecake infused with a delicate fresh pumpkin flavor baked on a pecan short bread crust. 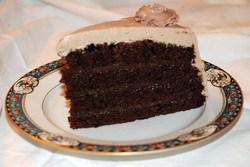 A rich chocolate layer cake filled with fresh chocolate butter cream laced with a hint of coffee, topped with butter cream frosting. A paradise of coconut! 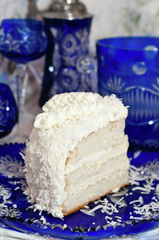 A heavenly white layer cake filled with whipped sweet vanilla butter cream then covered with a layer of frosting and covered with fresh grated coconut. This chocolate lover’s delight is a rich chocolate layer cake filled with chocolate butter cream and topped with chocolate Ganache. 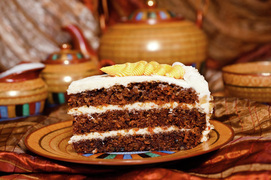 A local favorite made with fresh grated carrots, chopped walnuts and filled with a light cream cheese then topped with frosting. Light and nutty with intense flavor. 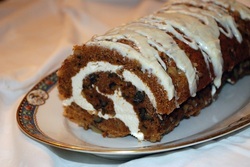 A tradition Roll cake you remember as a child served during the holidays. This our unique Pumpkin version that starts as a Pumpkin sponge cake with chopped walnut pieces and is rolled up with a whipped cream cheese filling and now for the Marliscious touch, I drizzle it with a creamy white chocolate Ganache. Just Heavenly!! 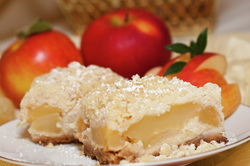 This apple cake with a twist begins with a thick layer of local fresh apples sandwiched by two layers of vanilla cake moistened with Cruzan vanilla rum and smothered with a thick layer of whipped cream, the sides of the cake are encrusted with walnut chunks. This ultra-rich cheesecake starts with a chocolate cookie crumb bottom and topped with a delicate blend of cheeses and chocolate with chocolate chunks makes this a decadently rich delight. This exotic torte begins with a pistachio cake layered with a light pistachio cream and is finished with crushed pistachios, and more light pistachio cream frosting. 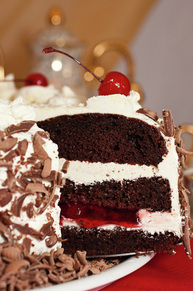 A Chocolate lovers delight. 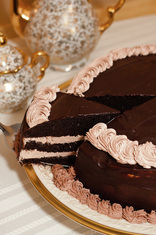 The perfect combination of moist chocolate cake with a chocolate pudding filling topped with a delicate chocolate whip cream frosting. A special cake to honor a special friend. 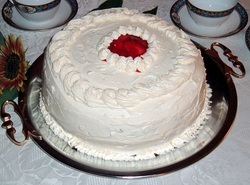 This is a very light heavenly Italian style cheesecake made with Ricotta cheese which makes this cake light and fluffy.